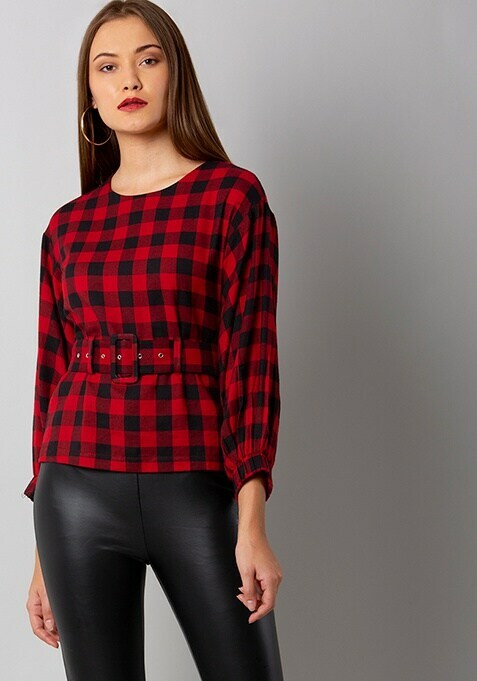 Checks are perfect for any occasion, just like this red tartan top that comes with a self fabric belt. Featuring all over check, full sleeves and a round neck. Work It: Team this trendy top with ripped jeans and cool sneakers to look fab.